Today, Kwiksher announced its upcoming software “Kwik Next”, or as it will officially be called, just “Kwik”. Kwik will offer a variety of improvements to the user experience, a new pricing system, and a plethora of new features. Kwik will now be on a subscription service rather than a one-time fee. Those familiar with Adobe CC, Corona SDK Pro, and Lanica software have probably noticed the recent trend of subscription software. 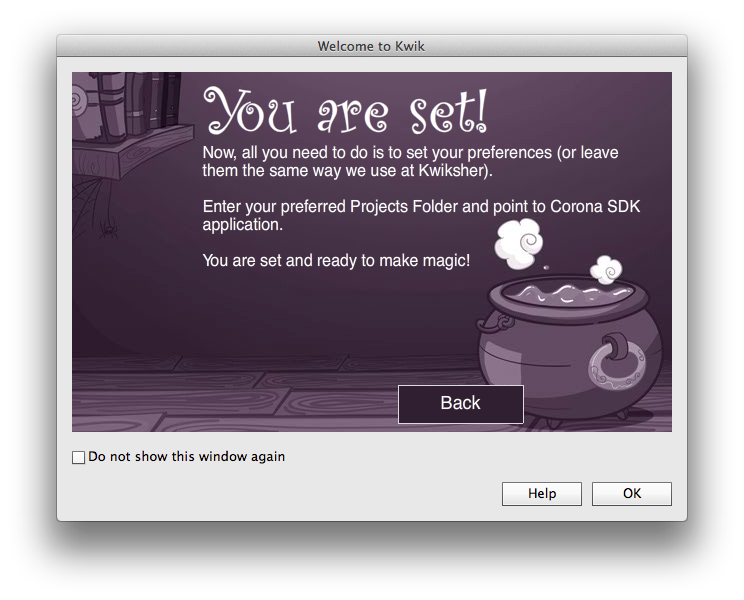 I’m glad Kwiksher chose to switch to subscription because Corona SDK is constantly changing to keep up with the changes in the Android and iOS ecosphere, which means Kwiksher also has to constantly change. Now instead of having to buy a new version every time Apple decides to change the iOS standards, Kwik users will always have up-to-date software. A Kwik software subscription also means that you can now do a 3-month plan in case you just want to quickly publish your book idea. A 3 month subscription is expected to go for $99 USD as of the time of this writing, which is a great price for indie developers and children’s book authors. A year subscription is expected to be priced at $249 and also gives you the ability to vote on the next feature you’d like to see implemented into the software. 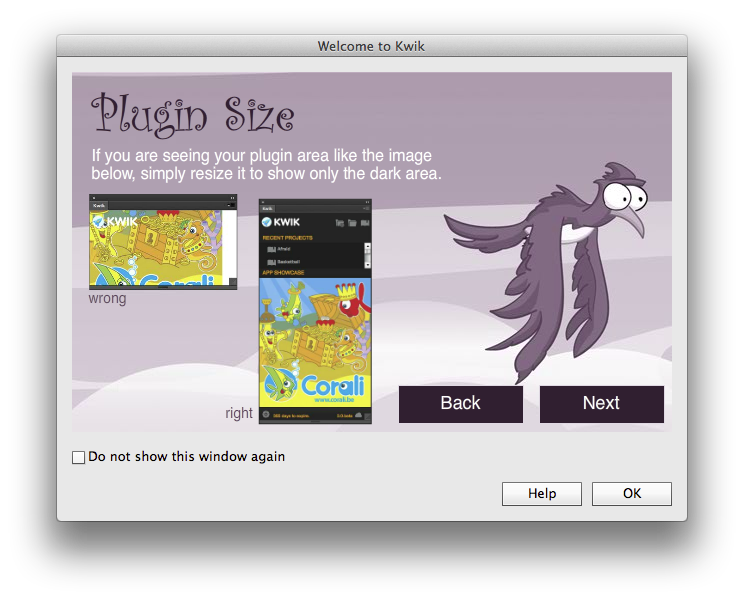 Right now, Kwik is still in beta and looking for users to help test the software. Kwik 2 customers can join the beta team for about $149 USD. You may be asking why you’d want to pay to beta test software when most companies offer it for free. In this case, the $149 gets you a 15 month subscription to Kwik, which saves you about $200 ($249 for 12 months + $99 for 3 months – $149 Beta = $199) and this deal is only good until Corona Labs lifts the new storyboard NDA. 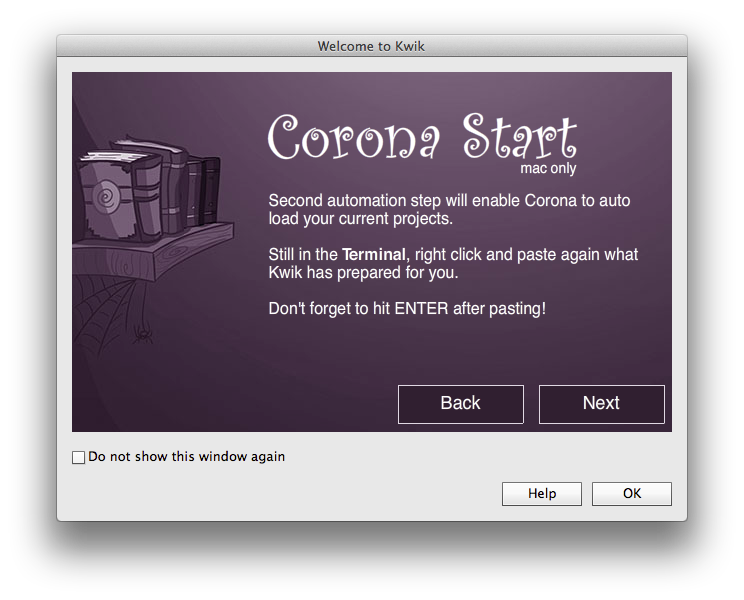 The new version of Kwik will run on the officially supported Storyboard tool once it’s finished by Corona Labs, whereas Kwik currently runs on director. So this deal could last a day or it could last a couple months, it’s hard to say. Regardless, I joined the beta team as soon as I could, which brings me onto this next segment. 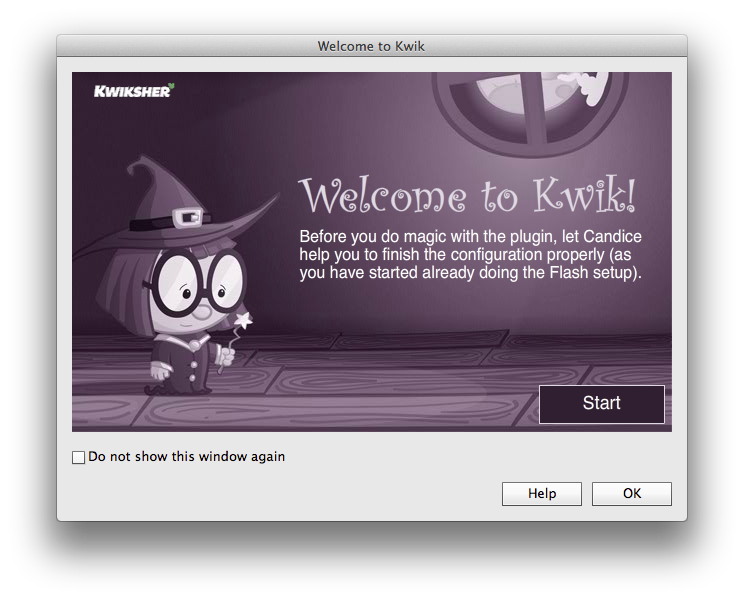 A lot of Kwik users had trouble getting the software setup initially, which Kwiksher has addressed with this new version. 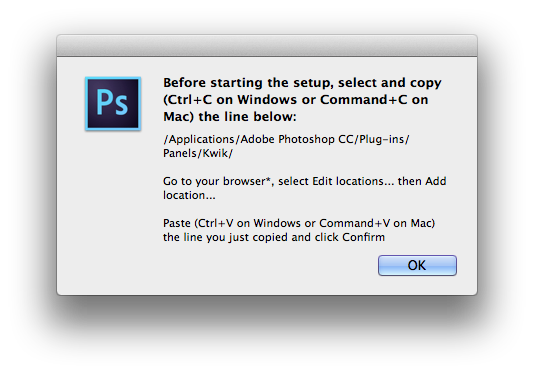 Now when you run the software, it takes you through step-by-step, and copies any text you’ll need to your clipboard for you. If at anytime you need assistance, you can click on the Help button and it will take you to a video tutorial of how to install it step-by-step. The Settings window now has an option for Colored Icons, which is a great new feature that I’ll show you momentarily. 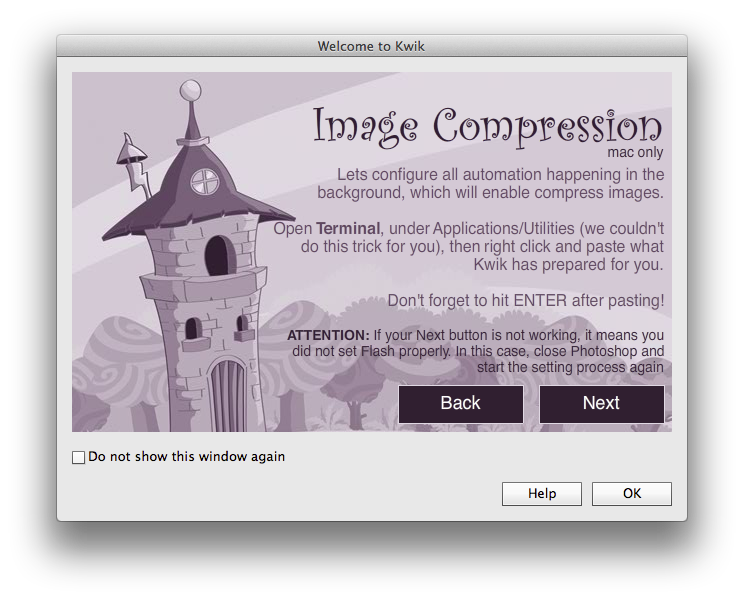 The new Kwik panel also has a built-in showcase for Kwik-made apps when it first opens. You only see the ad until you start a project or open an existing one. The panel also gives you easy access to pre-made templates if you’re new to Kwik and want to see what is possible. 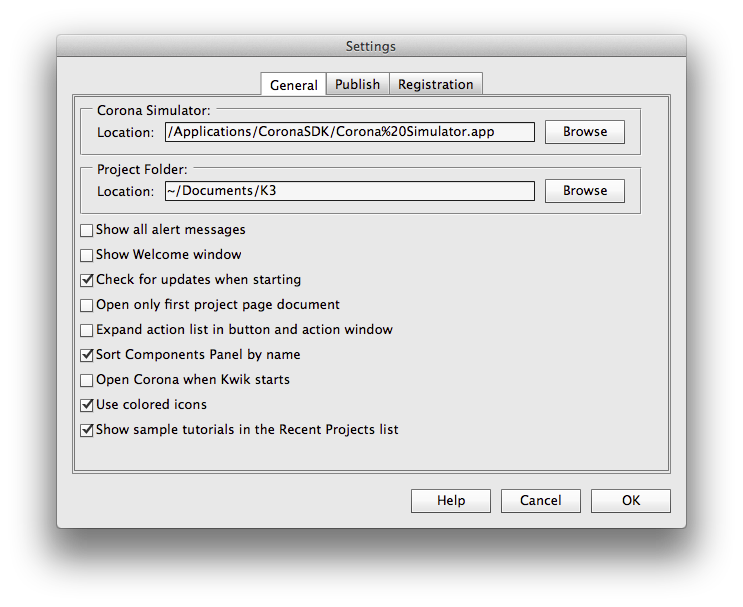 Your previous projects are also listed in the panel so you can quickly open any project you’ve worked on in the past. Now onto the colored icons. The colored icons allow you to quickly (kwikly?) see what interactions go with each group. Here we can see that Animations is a yellow group, so anything listed in yellow is an animation. Pink are related to Interactions, Purple are Physics, etc. 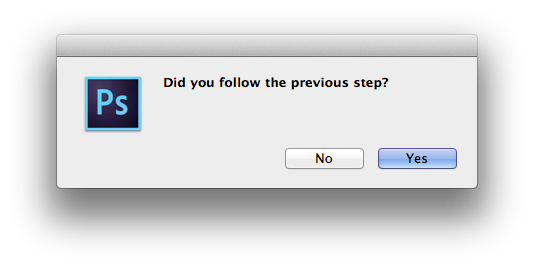 This will be especially helpful to newer users. 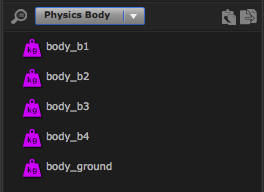 Now you won’t have to wonder where to go for say, Body Properties, you can see that they’re purple, so they must be under the purple Physics panel. Another new feature is the ability to search for items. 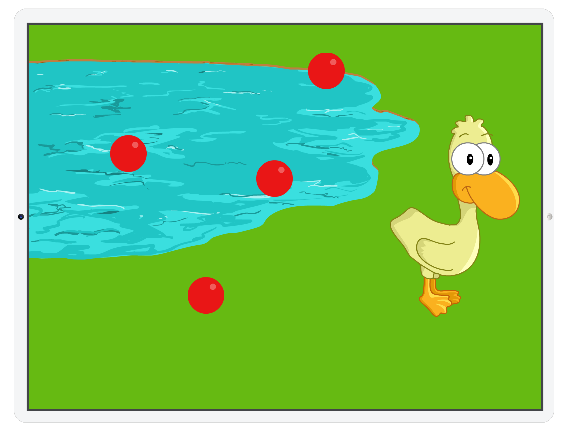 In my first project test, I had a few interactions for ball objects. 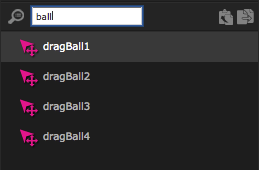 Rather than having to look throughout the Kwik panel for anything named “ball”, I could easily look for them using the new search tool. Another new method of searching for specify items is to look by the type of interaction or property you’ve assigned to it. Here I looked for anything that had a Physics Body. Those are just a few of the new features available right now in the new Kwik beta. If you’re hesitant to sign up now, you can still buy Kwik 2 until the end of September, which is not a subscription or you can wait until the final version of Kwik is released and download the free trial, which will allow you to create a few pages for free. Overall, I think the new Kwik looks and feels great to use and I’m very excited to see what Kwik will bring once Corona Labs releases their new storyboard tool. I think the subscription plans of $99-$249 have something to offer every indie developer regardless of budget and Kwik will be a great investment for children’s book authors.